Chef Kevin Lee is a cerebral chef. You could imagine him as a professor—instead he puts his brain power into his food. On his plates is a restrained drama. An alumnus of such lauded New York restaurants as Dovetail and the late, great Tabla, he can pull flavor out of shiitake mushrooms like nobody’s business. Same with the humble carrot. He also has a great sense of design, as can be seen in his sleek, understated restaurant Pai Honolulu. The newlywed (he just got hitched to his restaurant partner and true love Justine Kadokawa!) seemed to be a great candidate to participate in the Honolulu Museum of Art’s spring benefit Palette—an event featuring food inspired by works from the collection. Along with Lee, the event features chefs Lee Anne Wong of Koko Head Cafe, Wade Ueoka and Michelle Karr-Ueoka of MW Restaurant, and HoMA Café’s Robert Paik. They were invited to wander the museum or browse a selection of images of artworks and select one on which to base a trio of dishes—two small bites and one full plated course. 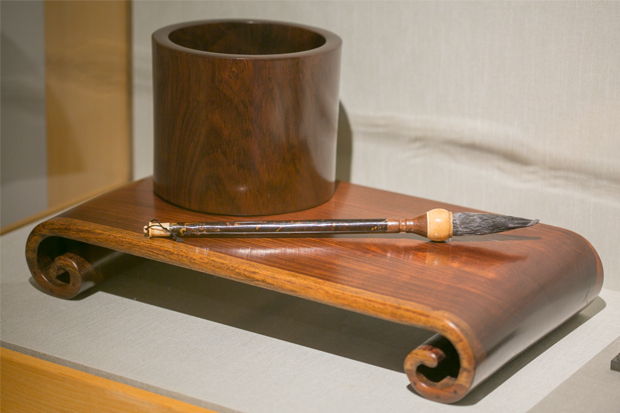 Lee chose to visit the museum, and we weren’t surprised when after wandering the galleries he selected a scholarly tortoiseshell ink brush, along with a brush holder and scrolled stand. This handsome set is on view in the China Gallery. Chef Kevin Lee’s art inspiration. 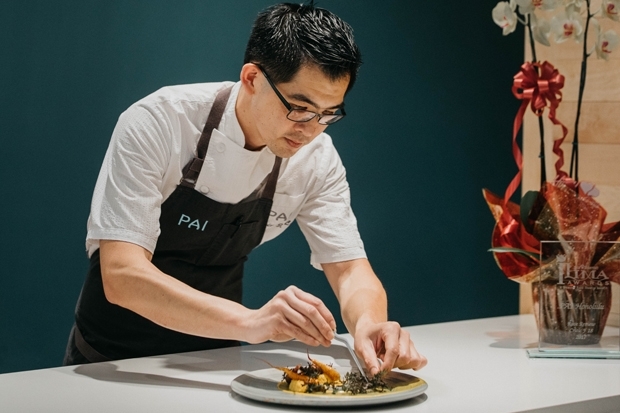 We can’t wait to taste that, along with his two other bites—citrus-cured salmon and mentaiko mousse with ikura on sourdough toast, and shiitake mushroom gougère (we’ve had that at Pai, and we wish it came in giant bottles to take home). 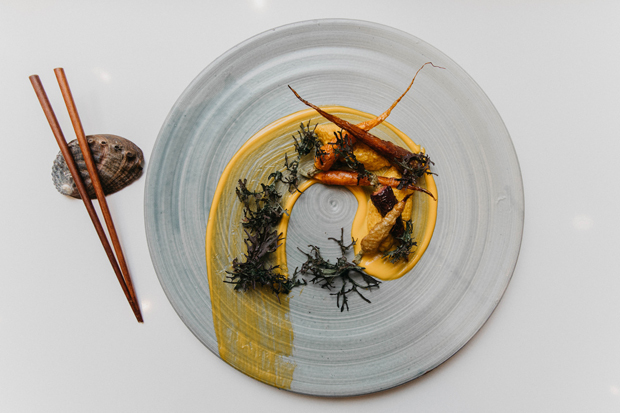 The only way you can get a taste of Lee’s Carrots and Grains is to buy a ticket to Palette. Next week: See what Michelle Karr-Ueoka picked as an artwork and the memory-packed dessert it inspired.